Saying awesome was my first reaction after first listening, it sounds like a mixture of legendary Eloy, Camel and Savatage, plus classic Rock and some pieces of our beloved Heavy Metal at first listening. But I feel it will be even more interesting after more listening. We are still in the beginning of 2012, but AIRS-A ROCK OPERA is going to be one my favourites this year. The album is as long as it can be,it includes 18 tracks and honestly it was hard for me to pick one as my number one, as there are several masterpieces that shine so bright or Rock so heavy. 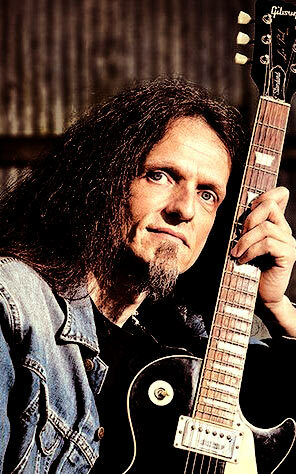 From classic rock to heavy metal and even a piece in the neo-classical style, a widespread view of good sounding music, it shows the great talent of the composer, Steve Brockmann in writing music. Another thing that I should mention here, is the great flair and creativity of George Andrade in writing the lyrics, I’m really impressed and believe me or not, I could see all the stories in my eyes. It’s like reading a book or watching a drama which starts in a dock, so make sure that you are ready for a trip to a fantastic symbolic world, just let that kite go and fly, then you’ll find yourself floating in the ‘AIRS’, it feels light like a feather, you may even feel sad, not painful but a joyful sadness, I want to call this ETERNITY and that’s truth. Piano, Keyboard and Guitar joined forces to play such ideal songs like “Fateful Days”, “Kite” , and “Floating” which sounds like a mixture of Pink Floyd and Camel to me and also I want to mention some Heavy songs like “Heritage”, “Flight II” and “Grounded II” in this album which remind me of pure German Heavy Rock Metal. Several singers appeared in this album and I can tell you that they are all great and it seems everybody and everything in this album are in right place, and that’s one of the reasons that I called this album awesome. Maybe one of my favourite moments in this album is when Harpsichord enters into the instrumental song “History” and play with an overdriven guitar. The joining of a keyboard in the background mission is completed to enjoy the song, but I really wish it was a little longer. “History” is a great intro for the next song, “Heritage” which brings with it the Rock and Rolling of distorted guitars, a bass guitar that play wonderful rhythms and riffs and also a piano which appears with a great riff, the sound of which invokes the feeling of dancing in a dream. The artwork of this album is the best choice and I cannot imagine something better than this, it really fits those dream maker masterpieces and I seriously suggest you get a hard copy of this album, if you don’t want to miss the very impressive stories and that fantastic artwork. As my final word, if you are always looking for good music or if you are one of those people who like Camel, Eloy, Savatage or Pink Floyd, this album is for you, but if you are looking for growling stuff, luckily or unfortunately this is not yours. My rate for AIRS – A ROCK OPERA is 9/10. PS: I had an interview with Steve Brockmann, you can read whole of the article on this loaction. 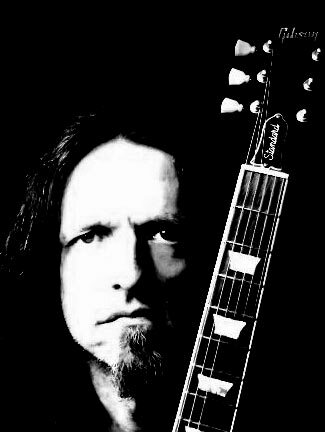 Interview with STEVE BROCKMANN: Check out our album, I really like it, you won’t be disappointed! Steve Brockmann, born in 1965 near Hamburg, Germany, has played an active role in Northern Germany’s music scene since the early 1980s. Being the creative head of various bands, he has played gigs on many stages between Germany’s most popular holiday island Sylt (up in the very North) and the orchards of Lower Saxony. 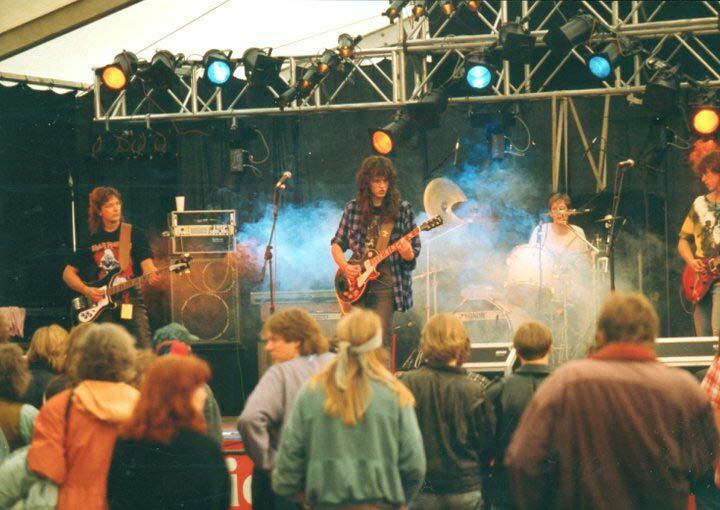 Amongst others, he has played support gigs for such rock legends as Uriah Heep, Moody Marsden Band, and Hawkwind. After having spent some time roaming the North and living out his Rock’n’Roll road movie, Steve mainly concentrates his musical work on various projects in his personal studio. But that was not a complete description for Steve yet, he is an amazing musician, you don’t need to meet him, listening to his Arty music would be enough to understand what I mean. I was honored to have a talk with him and ask him some questions, I hope you find his answers as interesting as I did. Hello Steve, how are you doing today? Thank you Mohsen, I’m feeling great, of course a bit excited and busy preparing the release of our album. Yes, hi, I’m Steve Brockmann, I was born and still live in Northern Germany. I’m a composer, musician and produce my projects in my own little studio. 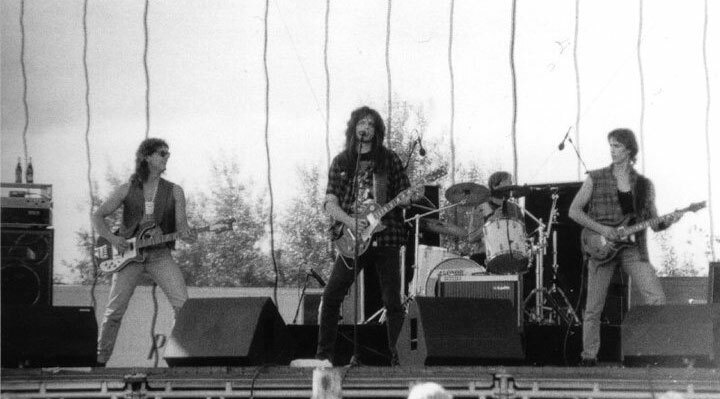 Between the years 1984 and 2000 I played concerts with several bands in Northern Germany, Berlin, Lower Saxony, we also had a small tour in Poland in the early 90s. I started as a keyboard player and taught myself to play guitar since I was 27 years old. Since 2000 I only played some gigs for special occasions and as a guest keyboard player for friends. … and tell us when did you find that you wanted to learn to play music and what is so appealing about it for you? Well, my parents sent me to children’s musical education, after that I had piano lessons from being 9 years old for four years. The first time I really “wanted” to play music was when I was 14/15 years old when I met two guys who played guitar and drums. We just improvised and later composed our own music . I think we were to lazy or not good enough to play other peoples songs, haha. don’t know. From that point I really became an addict of creating music. It was like someone opened up the door to another universe. And can you tell me which musicians and guitarists influenced you as a guitarist and musician? Mmh, I think every song I ever hear influenced me, but of course I have some favourite musicians and guitarists. There are so many… but when I look back to the music that was formative for me, it seems that this all happened between my 13th and 19th birthday. I can tell you which bands I liked most through the years, but be warned, this will be a long list, haha. Right that was a good detailed list, Okay, I’d like to know about the instruments and backline that you use and why you chose them? Well, I have a few guitars nowadays, Les Pauls, Telecasters, a Dean Cadillac and a “one of a kind” guitar from Ralf Mansfeld, a luthier from Northern Germany. I have a few amps too, a 100 watt Marshall JCM 900, Line 6 Flextone II, Blackheart Killer Ant and a Koch Studiotone. Some people may think that’s too much equipment, but ask any guitar player – he will tell you that’s it’s not, ha ha. On my latest production I mainly used the Gibson Les Paul and the Mansfeld with the Koch amp. Why did I choose them? Many of my heroes played a Les Paul and a Marshall amp, so that’s what I wanted. Later,I always discovered things I had to own, that I really needed, haha. Well, I’m agree about Les paul and Marshall but Let’s talk about your last single, “For Those Who Left, For Those Who Came (Christmas Eve)” , you announced that the profits would go to a Northern German charity organization helping children and teenagers who suffer from cancer. How did you get the idea for that and can you tell me how well it sold? Okay, for years I had the idea to do something good with my music. I just never seemed to have enough time to do it. But in 2011 it finally happened. My father died in 2004, suffered from cancer too, so I knew it should be for children suffering from cancer. Fortunately this project was quite successful, I sent 281 Euro (that’s 370 USD) to the organisation, that’s no too bad for a relatively unknown independent artist like me. I’d like to know more about your upcoming album – ‘Air – A Rock Opera’. Before we hear the new material, can you give me any idea of how it will sound? May be it will be similar to what Arjen Lucassen of Ayreon does? Well, there are several singers on the album( yeah, it’s an opera) but there are only four songs with more then one singer performing, So this might be the only similarity with Ayreon. I would say it’s a mixture of diverse 70s/80s rock and metal styles together with cinematic elements. Would you tell me about the name of this album, how did you get the idea? Could you tell me more about the writing and recording process? After we decided to do AIRS George sent me a very “short” synopsis of the story – 20 pages in English which isn’t my mother tongue, of course, haha. George made a layout for the whole thing and we ended up with 18 songs/sections. For every song we talked about: who’s singing it, what’s the situation, psychology, mood, feelings etc. I continued writing as if I was doing a movie score, I made a demo of every song, singing some nonsense lyrics, sent them to George. He wrote the lyrics to my melodies. In June 2009 we had a demo version of AIRS with transitions, sound effects etc. I wanted to sound the final record as organic as it could be, so I sent all tracks to our drummer Jo and he recorded the drums in his own studio. Then I re-recorded everything before I gave the songs to the singers. That may sound complicated, but I think it was worth it. Drums, bass and rhythm guitars are very tight and have a great feel, vivid. Tilman, Cornelius, Antila and Luppi recorded ther tracks in my studio, the others sent my their recordings via internet or a CDR via snail-mail , haha. The recordings were finished in June 2009, then I mixed it and Andy Horn did a great job with the mastering. What do you feel are the main differences between writing a rock album and a rock opera one? Well, it was my first rock opera, but I tried to write the music always having a look at the general mood of the story, not too simple, not too happy, always a certain atmosphere and I hope I succeeded. The flow of the story was an important thing too. What I really liked is that I could use more styles of rock music, always corresponding with the story and the mood. So there’s proggy rock, metal, ballads, gospel…. I hope that I managed to let it sound all of a piece. Writing a rock album is much more focussed on a musical style, and of course you have to keep the dramartugy in mind too. I think a rock album is (or should be) more a collection of great songs, exploring the possibilities of a certain style of music. But what do I know? Haha. Would you tell me more about that team who joined you in writing and recording this album? How did you choose them? I met the writer and lyricist George Andrade on a Spock’s Beard related message board (Spock’s Beard is a great US prog-rock band) . He wrote the lyrics for some of my songs. One evening we were in the chatroom (May or June 2008) when George said : “I have an idea”, hahaha, that’s how it started. Basically all of the singers and musicians are friends, in the real world and the internet. Jochen Ohl, the drummer was a friend of a friend and also plays in a band with my brother. 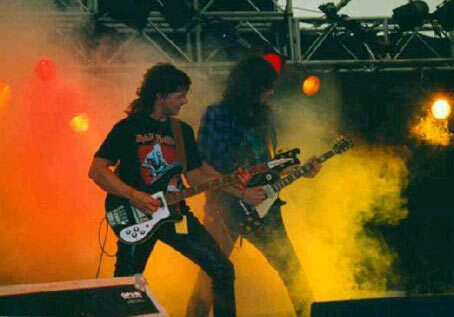 Rob asked his singer, Floor Kraayvanger, and the singer of his other band back then, Stonefly, Jan Hoving (who also worked with AdrianVandenberg). Both agreed and I am still very happy and thankful for that. George and I knew Paul Adrian Villareal (Sun Caged) from the Spock’ Beard message board and kept contact via FB. When we were looking for someone to sing the first and the last song of the album we asked him, because he has the perfect voice for the Kansas/Steve Walsh vibes in it, he made it his own song. Tilman Eckelt is an old friend too, I love the epic death metal band “The Gtrailknights” and I don’t know if I might say this, but it seems, that the green knight “Sir Optimus Prime” bears a big resemblance to the looks and singing of Tilman…haha. Cornelius Kappabani (Cimbria): I know him for 20 years now, he played the clubs in Northern Germany too. I knew that his voice would fit very well with/to the more theatralical songs. Antila Thomsen is coming from the next village to my hometown, I heard that she took vocal lessons. We looked for someone to sing the role of Hannah, a 15 year old girl, Antila was 15 years old too back then, so we tried it, it worked out fine and now she’s on the album. Christoph “Luppi” Brockmann is my brother and we have the nice tradition that he plays bass on one song of my solo stuff. Dave Meros (Spock’s Beard) is one of my favourite bass players. One day we saw the ad on his MySpace site saying that he’d play for recording projects. So we asked him and he luckily agreed. It’s totally cool to have one of my favourite musicians on the album. Alan Morse is the guitar player for Spock’s Beard, same as Dave, we got to know that he does recording session work from time to time .. so he plays a cool solo and some weird stuff on one song, needless to say that it’s great to have him on the album too. Phil Robertson: In the time we engaged Phil, Jo’s recording equipment had a breakdown and furthermore he told me, that he had some difficulties playing the long double kick passages of “Grounded II”, he’d only could do that with editing/cut&paste stuff – he didn’t want to do that since every other recording is real and not-edited. So he agreed to find another drummer for this song. Phil is a very cool studio pro from Canada. You’ve played support gigs for Uriah Heep, Me personally and perhaps many of our readers like to know where and when and how was that experience? Feel free to tell us if you have particular memories of that day or night. Well, we played one support gig for them on a festival in Northern Germany in 1993, but that was awesome since they are a big influence and I am really a fan. I saw them a few times before, standing in the audience. When we met Bernie Shaw and Trevor Bolder backstage, they were so humble, down to earth and friendly to us, really impressive. 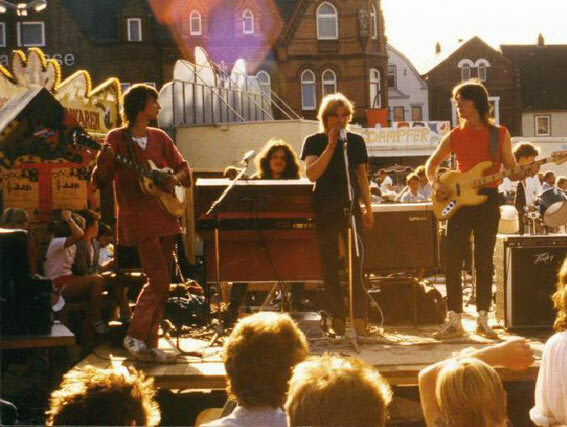 We watched their gig from the sound of the stage and Bernie joined us in having a beer during the Hammond solo. And never forget, we were – and still are – little boys from the countryside. What’s your plan for future, still working as a solo artist or you’re going to form a band? Still lots of music in my head to be recorded, I think I would like to do something simple, rocking stuff now. Mr Tinnitus won’t allow me to stay in rehearsal rooms too often, so I will work in my studio. George and I talked about another concept album – he’s also involved in his other project “The Anabasis” who have just released their first album in January and will write and record a second one. So we’ll see. I wrote some songs that are really metal, we’ll see what will happen in the future. Thanks Steve for giving me your time, Feel free to send a message to our readers and your fans here. 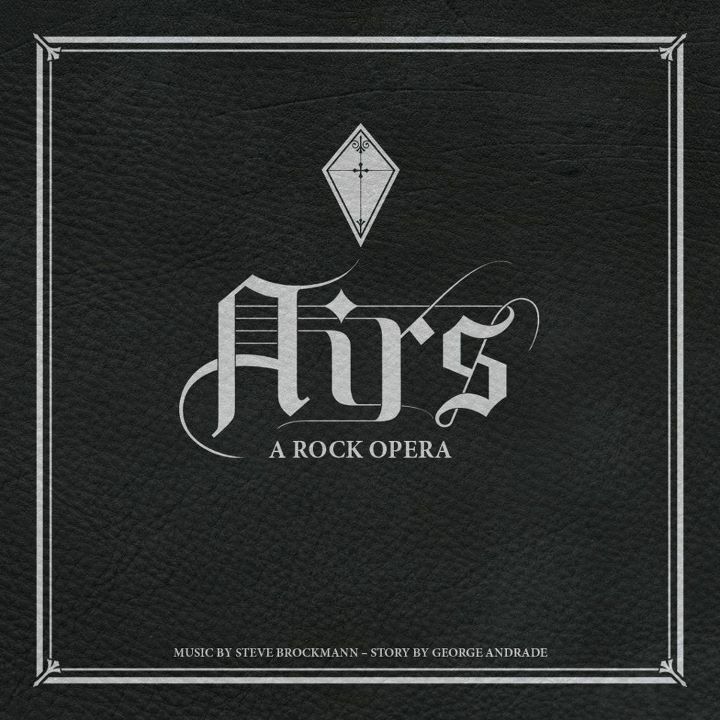 German Rock Opera writer, Steve Brockmann and George Andrade have announced via a document on facebook that they are going to release their forthcoming album, “Airs – A Rock Opera” , on February 29th, 2012. And also the album will be available for pre-ordering soon. You can see the artwork of this album below which designed by Matt Willett. “Steve and I are extremely proud of what we’ve written and we can’t wait for you all to finally get your hands on the album and enjoy it! The CD is packed with 74 minutes of superb, exciting and emotional music that runs the gamut of rock, blues, pop, cinema and even gospel tinged in a classic rock opera style and comes with a beautifully designed, 24 page lyric book to assist you in following what we think is a pretty cool story!” George said.